Also called a 72-hour bag, Get Out of Dodge Bag, and Go Bag, a Bug Out Bag is one of the most important parts of disaster preparedness and prepping. It contains everything you need to survive should you have to evacuate your home in the face of a disaster. There are a lot of Bug Out Bag checklists out there (including this Bug Out Bag Checklist). 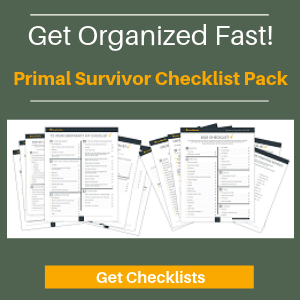 These checklists are great for helping you figure out what type of survival gear you need to pack in your BOB. But bear in mind that your Bug Out Bag contents are supposed to save your life. You don’t want to blindly follow a checklist! Instead, you need to familiarize yourself with the principles of Bug Out Bag so you can pack yours right. 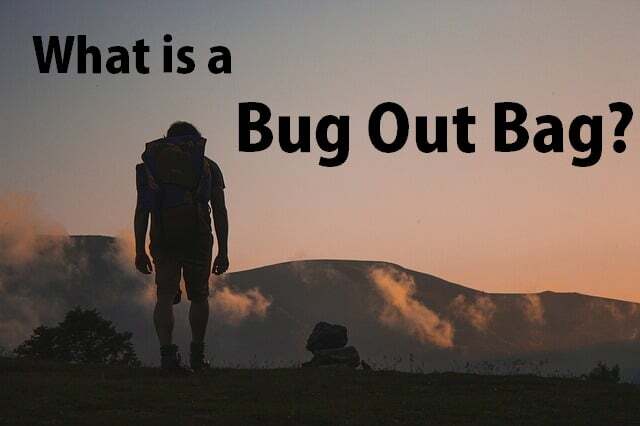 Why Pack a Bug Out Bag? Just ask anyone who has survived Hurricane Katrina whether a Bug Out Bag is important, and you’ll get an unequivocal yes. In addition to hurricanes, there are no shortages of disasters which could occur. With Katrina, most people who evacuated were lucky enough to make it to a shelter. Even these people would have been better off with a well-packed Bug Out Bag that contained essentials like sleeping bags, first aid, and hygiene items. As this article about How the Katrina Evacuation Plan Fell Apart says, people were told to bring sleeping bags and 3 days worth of water. Imagine that you have to evacuate your home and there is no state-provided shelter waiting for you. What if the disaster struck the entire country? What if you had to sleep outside? What if you were injured? This is why packing a Bug Out Bag is so important! 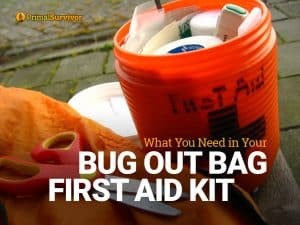 What makes a Bug Out Bag unique from other types of disaster kits (such as an earthquake kit or a roadside survival kit) is that the BOB is designed for ALL types of disasters. This makes it very difficult to pack a Bug Out Bag because you don’t know what you will be in for. The best approach is to pack your Bug Out Bag backpack with multi-functional items which help you meet basic survival needs. For more on disasters, read this post about the most likely disasters. A lot of people mistakenly believe that they will have enough warning of a disaster to get home and make preparations. But, as FMC notes, disaster can strike anywhere, anytime — including while you are at work, school, the supermarket, or driving on the road. We often don’t have any advanced warning of disasters. With this in mind, it is important that your Bug Out Bag strategy includes more than one Bug Out Bag. These Bug Out Bags are kept in places where you go often, and are all easily accessible. A Bug Out Bag is useless if you don’t have an evacuation plan. However, even the best-made plans can still fall apart because you can’t predict what will happen during disasters. 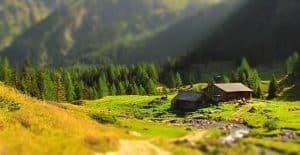 For example, you might plan on fleeing to a cabin you have in the woods somewhere. But what if the roads are blocked off? Your Bug Out Bag better contain everything you need to survive anywhere that you have to flee to. This includes urban environments as well as the wilderness. The general consensus is that a Bug Out Bag should have enough supplies to last you 3 days. However, there are some experts (like this one) who encourage building a Bug Out Bag for even longer periods of time. It would be great if you could pack enough supplies in your Bug Out Bag to last you indefinitely — but more gear = more weight. Good luck fleeing quickly on rugged terrain (or over debris rubble) when you’ve got a heavy pack on your back! Aim to strike a balance between survival gear and weight. What to Put in a Bug Out Bag? Please bear in mind that there is no perfect Bug Out Bag checklist! You must calculate in your unique needs. If you have an infant, then your Bug Out Bag packing list is going to look a lot different than that of a single man bugging out alone. 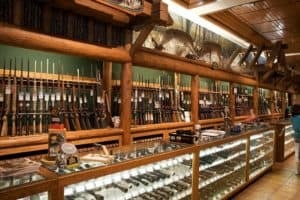 If you are bugging out in a group, then you can probably afford to pack more gear in your Bug Out Bags because you can distribute the weight. But then you also have to factor in the possibility that you get separated – meaning that a team member could be left without vital supplies because they were in someone else’s BOB. 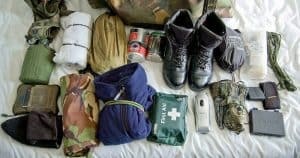 So, while Bug Out Bag checklists can be very useful in helping you figure out what types of gear to pack, it is better to break down your Bug Out Bag gear by categories. Remember the survival rule of threes: you can go 3 minutes without air, 3 days without water, and 3 weeks without food. 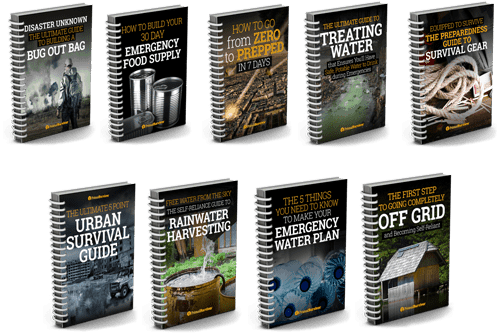 Considering this, you better prioritize water in your Bug Out Bag! The problem is that water is heavy and bulky to carry, so the more water you bring the less room you will have for other items. I personally keep 1 quart of water (per person) in my family’s Bug Out Bag. I also have water purification tablets and a camping water filter. Your Bug Out Bag is for survival, not for fun! I recommend MRE (Meals Ready to Eat) for your Bug Out Bag because they are very dense, compact, and deliver a lot of calories for the size. Also, they don’t taste very good – which is actually a plus. If you packed something tasty like granola bars, you’d probably eat through them too quickly. For most people, the choice is probably between a tarp or a tent for survival shelter. However, this can vary depending on where you live and your level of survival expertise. Your shelter should protect you from the elements while you are inside, but what about while you are fleeing? If you are bugging out in a cold climate, then you better have warm clothes in your Bug Out Bag. It could be raining, so you need to have a rain jacket or poncho, plus waterproof boots (I personally consider boots an essential part of a BOB because wet feet will get blistered and it will be painful to walk). And what if the sun is beating down? I consider this worse than rain in many ways. Sun burns can be very dangerous, so you better have clothing to protect you, a hat to protect your eyes, and sunblock. Even if you are in a populated area in the aftermath of a disaster, first responders may not be able to get to you and hospitals are overcrowded (it is actually quite interesting how hospitals prepare for disasters). As mentioned before in the Top Considerations when Planning a Bug Out Bag, remember that you don’t know what type of disaster might strike. So, your Bug Out Bag first aid kit is going to look a lot different than the one you keep at home for scrapes and cuts. 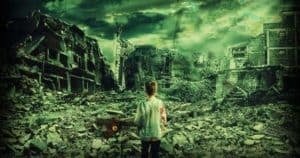 For example, after the terrorist attack on 911, people were not only injured but breathing in toxic debris that later caused cancer and disease. Thus, I personally keep an N95 respirator in my Bug Out Bag. This is the #1 thing that people forget on their Bug Out Bag packing list. True, in a complete SHTF situation, documents won’t matter. But we aren’t packing for total collapse and chaos. We are packing for any disaster! That includes disasters like hurricanes, tornadoes, terrorist attacks, EMP strikes… Remember what a pain it was after Hurricane Katrina when people didn’t have their vital documents so were denied shelter and healthcare? Here is a checklist of documents to pack in your Bug Out Bag. Do you have a Bug Out Bag packed? Where do you keep it? And what tips do you have for newbies? Let us know!